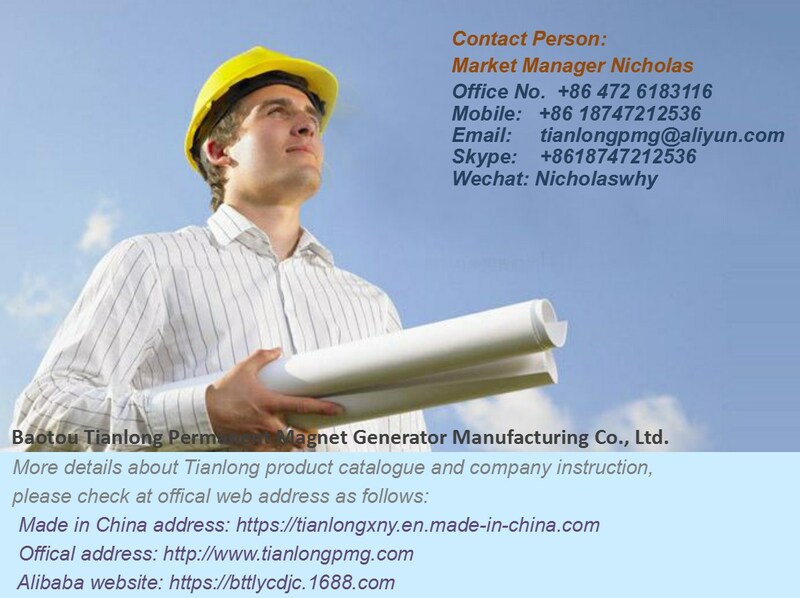 FAQS - Baotou Tianlong Permanent Magnet Generator Manufacturing Co., Ltd.
1. How your permanent magnet generator work? A: driven by any energy e.g. wind power, hydro power, wave etc. 2. What is the power of your generator? A: We can manufacture from 100w to 5000kw. 3. What is the rotate speed of your generator? A: From 50rpm to 3000rpm. 4. Can you manufacture customized product? A: Sure. Please provide your detailed requirements and technical demand, we make design according to your according to your actual need. 5. Do you provide OEM service? A: Yes, we do. We are a decade year of permanent magnet generator manufacturer.